Today we take a look at the latest NUC University ranking in Nigeria with the aim of selecting the list of Top 20 Best Federal University In Nigeria By NUC 2019. Tag along as we explore each one after the other. This is the oldest University in the country Nigeria, located in Ibadan, Oyo Nigeria, the University was established in the year 1948. The university has a student population of 33,481. The University has 11 faculties namely Faculty of Arts, Social Sciences, Dentistry, College of Medicine, Law, Public Health, Technology, Veterinary Medicine, Forestry and many others. The university is equipped with sports facilities as well as zoological and Botanical gardens. UI is considered the best University in Nigeria. Located in Lagos State, popularly known as UNILAG, the university was established in the year 1962 with a student population of 57,183 in the year 2013 and also staffs strength of 1,065. The University has the largest population than any other university in the country, UNILAG has different faculties ranging from Pharmacy, Clinical Sciences, Medical Sciences, Dental Sciences, College of Medicine and others. Known as OAU, located at Ile-Ife, Osun Nigeria. The university was established in the year 1961, with a student population of 35,000, the university has 13 faculties and two colleges namely Faculty of Social Sciences, Business Administration, Law, Medicine and many others. 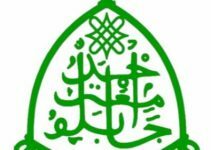 Located in Zaria is the Ahmadu Bello University in the northern part of the country, established in the year 1962, the university operates multi-campus system. It has different faculties namely Faculties of Physical Sciences, Engineering, Medical Sciences, Arts, Language, Agricultural Sciences, Law, Business administration and many others. Also known as Unilorin, located in the northern part of the country, the university was established in 1975, it has a student population of 30,000 and also different faculties namely Faculty of Agriculture, Arts, Education, Natural Sciences, Engineering and many others. Popularly called UNN located in the Eastern part of the country, located in Nsukka in Enugu state. The university has a student population of 40,000, the university offers a range of programs from post-graduates to Under-graduates. The University was established in the year 1960. The school has a lot of faculties ranging from Arts and Humanities, Business and Social Sciences, Medicine and Health Sciences, Engineering, Science and Technology and others. Located in Edo State, Ugbowo, the University of |Benin is ranked as one of the best University in the country. The university is established in the year 1970. The university has also a lot of faculties which includes Faculties of Medicine, Education, Law, Business Administration, Social Sciences and others. 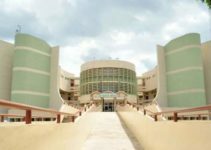 The university is located in the Federal Capital Territory of the country Nigeria, established in the year 1988, with a student population of 50,000 and also a great number of staff strength. The University has a lot of faculties which includes Faculty of Science, Engineering, Medicine, Social Sciences and others. The University of Portharcourt popularly called UNIPORT was established in the year 1975, then the school is located in Portharcourt. It has a great number of students population and also large staff strength. The school has different courses namely Arts, Social Sciences, Medicine, Law, Engineering and others. Established in the year 1982 with a large number of students. The school has different faculties ranging from Medicine, Law, Pharmacy, Engineering, Social Sciences and Business Administration. The University has a large number of the student population and also a high number of staff. Founded in 1980 is the federal University of Technology, popularly called FUTO, it’s a non-profit organization university, located in the town of Owerri, FUTO offers a lot f post graduate studies and also undergraduates, the school has a lot of faculties which includes Faculty of Sciences, Engineering, and many others. The University of Agriculture Abeokuta was established in the year 1988, located in Abeokuta Ogun State, the university has a range of students of about 14,000 and also has different faculties. This university is termed as one of the best institution in the country because of its wide range of infrastructural facilities. Located in Oye-Ekiti state is the federal university, the university is actually a new university, it was established in the year 2011, the institution also has a branch campus in different locations which mean the university runs a multi campus system. The university offers a wide range of courses and also bachelor degree courses. The Akure based university is rated has one of the best University in the country. The university was established in the year 1981 with a large number of students population and also a great number of staffs strengths. FUTA has it is popularly called offers a number of programs, ranging from degrees to master degrees in the different areas of study. The school offers a lot of courses includes Engineering, Social Sciences, Business Admin, Natural and Physical Sciences and many others. Located in Bayelsa state is the Federal University Otuoke, the school was founded in the year 2011, with a wide range of courses. The school offers a lot of courses which are Engineering, Law, Medicine and others. 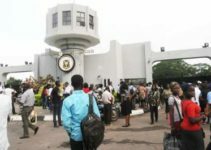 Located in Effurun, Delta State is the Federal University of Petroleum Resources popularly called FUPRE, the school was established in the year 2007, with a large number of students population and also a wide range of courses from Engineering, Pure and Applied Sciences, Natural Sciences, Social Sciences and many others. Established in 2011, is the Federal University Lokoja, the university is rated one of the best universities in the country offering a wide range of courses to all prospective students. The school offers a wide range of course ranging from Engineering, Law, Sciences and others. This is located in the Northern part of the country, the University is established in the year 2011 offering various programs, ranging from degree and others. The university is located in Dutse with a student population of about 30,000 and also a great number of staff strength. Locate in Lafia is the Federal University, the school was founded in 2011, with a student population of about 20,000 and also a good number of staff strength. The school offers a wide range of courses from Engineering, Agriculture, Social Sciences, Sciences and many others. Ranked among the top 20 on the list is the Federal University Kashere, which was established in the year 2011. The school offers a wide range of courses and also has a good number of the student population and also a great number of staff strength. That’s all on the LATEST NUC University Ranking 20019 of TOP 20 BEST FEDERAL UNIVERSITIES IN NIGERIA.